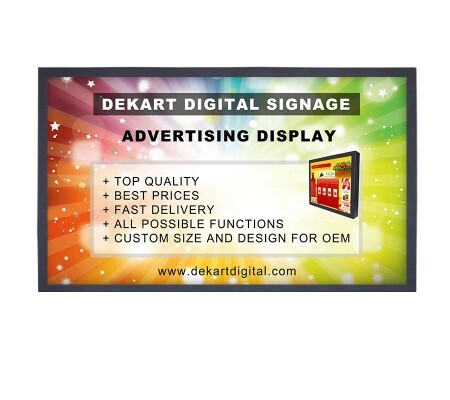 42 inch Digital advertising display 42" ADBOX-420. 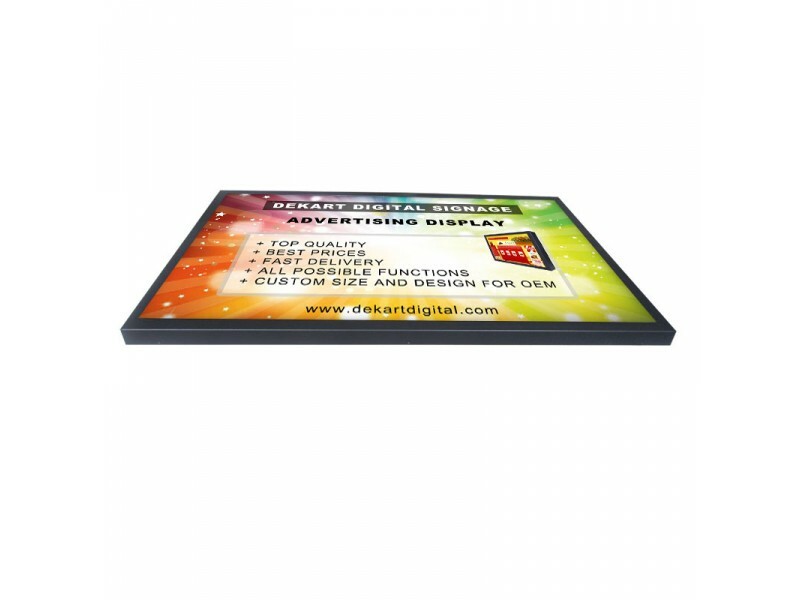 Check price for digital signage display and buy displays online. Big vandal-proof TV monitor in a stylish package ADBOX-420 has a diagonal screen size of 42 inch with built-in flash advertising player for continuous display of promotional videos, slideshows and information messages. 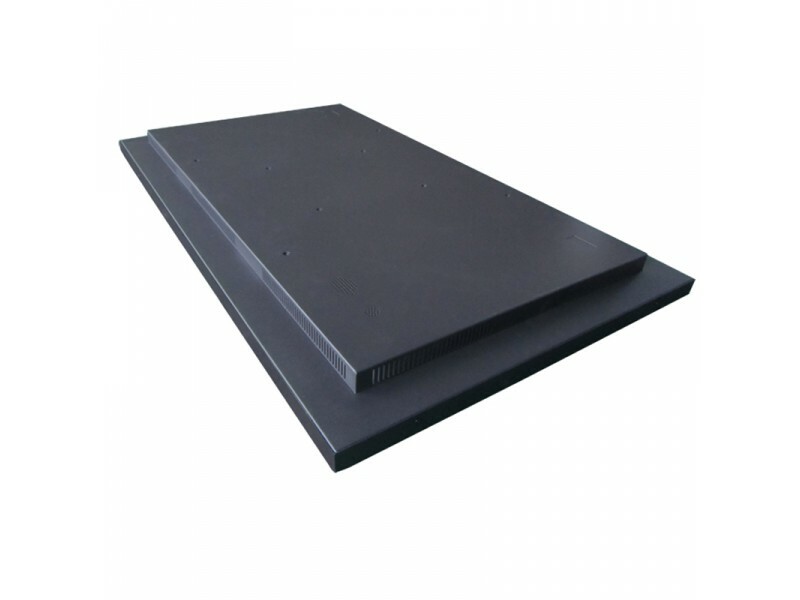 The display is covered a glossy tempered glass or polycarbonate to protect the screen from bumps and scratches. This info-screen is easy to clean, hard to scratch, so it is always presentable. Digital signage display ADBOX-420 is ideal for showing promotional videos and graphics, menus of restaurants and cafes, schedules of events. A very popular use of this adware is to display images and videos in places of a congestion of people - in museums, office and business centers, airports, exhibition halls, fitness clubs, various competitions and conferences. 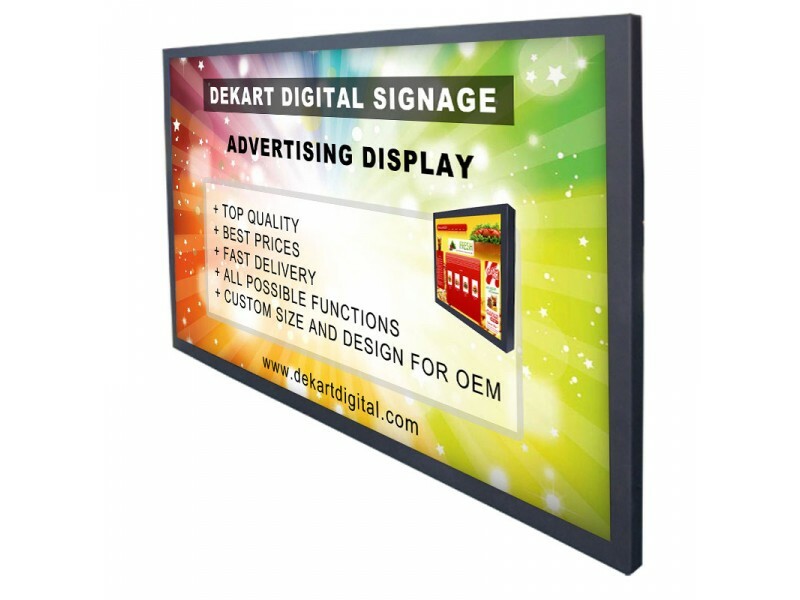 The advertising display can be mounted on a wall or on a stand in two positions – horizontally and vertically as digital idis. Bright displays and menus, delicious videos, or pop up advertising messages on the display will actively attract the audience's attention. 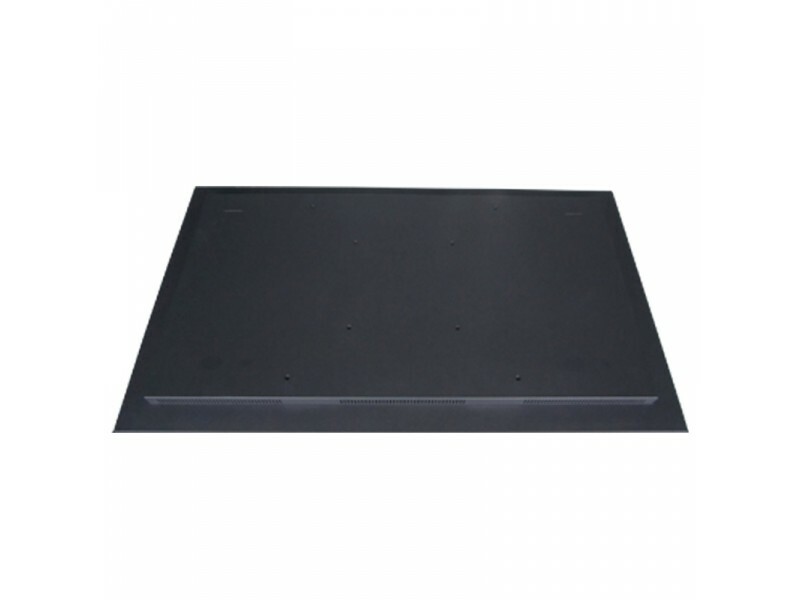 ADBOX-420 Screen for Digital signage can optionally be connected to the Internet for remote management of advertising data and schedule editing. 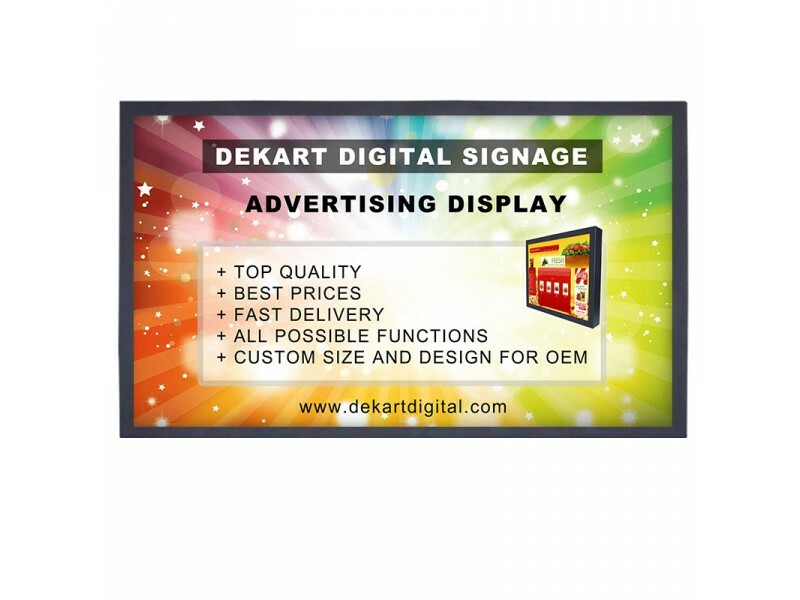 This information and ad display have professional Digital Signage option that connects Internet (RJ45 cable), or uses modern technology of wireless Internet Wi-Fi, 3G, 4G. This is the most practical way to manage display remotely. ADBOX-420 Screen can be equipped with touch screen, turning advertising display to an interactive display or digital kiosk.